Up next in this extra, extra special 'Meet' series is VIII by Andrew Dakalira - a story about alien invasion and humanity about to experience something epically bad. 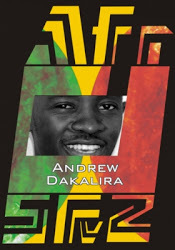 Andrew Dakalira started writing in his teenage years. Some of his stories have been published by Brittle Paper, Fundza, the Africa Book Club website and africanwriter.com. His work also appeared in the first ever Africa Book Club anthology The Bundle of Joy and Other Stories from Africa. A three-time winner of the Africa Book Club monthly short reads competition, he lives in Malawi’s capital city, Lilongwe. Enjoy!! In VIII we are in 2023 Malawi and we are awaiting the birth of the 8th billion person. We don’t know it yet, but we are also on the brink of some serious mayhem. I was really curious as to the genesis of the story? 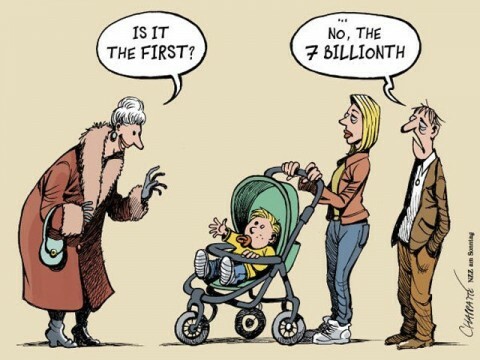 It all really started when we were commemorating the birth of the 7th Billion person. It was actually surprising that some people were celebrating this, in spite of years spent bombarding us with the effects of population growth on our planet. So I thought, ‘would people still be celebrating if it turned out that we had an even bigger problem ahead?’ ‘What if someone out there was watching, waiting to cull the human population?’ Now, I had a few options as to who'd be capable of that. God and aliens stood out. And you know what I chose. There are also some really interesting characters here – I particularly liked Sir Gregory and thought he was badass – and the multiple viewpoints were not overwhelming? Why did you opt for this approach to tell the story? It was a little overwhelming as the story went on. To be honest, I didn't even realise that's what I was doing until Nina came into the picture (hahaha). But, I figured it would be better if I told the story from how different people in society reacted. The government, the military, as well as ordinary civilians. And it was fun doing it too. I'm glad you liked Sir Gregory. I found his story surprisingly easy to write. One of those characters that seems to just ease into any setting. I also found VIII to be very cinematic and actually having been to Malawi I could also visualise the places in the story and what it would potentially be like 7 years from now. Was it your intention to for the story to have a movie-like feel? Yes, it was. It played out that way in my head and that's exactly how I wanted the story told (haha). Seriously, though, this was a story that would roll in my head and I'd think, man, this is just like a movie! And that feeling was just too good to alter. So that's how I wrote it; unadulterated. I have to say, I read the last line, 'War had begun', and I could not believe it was over. The ending can be interpreted in many ways – why did you go for that? I was also torn about the ending. It really was about who should win. I had this whole story, and quite a few other showdowns and the big one, all of which ended up not being in the story. I didn't know which side I wanted to win, and that drove me crazy, which was actually fun at the same time. I eventually did figure out the winner. I only quite a few people were pissed off by the ending, and call me weird, but I didn't want to be the only one to experience the inner struggle of whether humanity should survive or not. I'm not that greedy (haha). This leaves me to then ask, is this the beginning of a novel or do we just have to wonder if humans are going to be able to survive what’s coming next? the reader figure it out. The latter is winning. So currently, I'd have to say no. No novel. I'm currently working on two things. A short story collection and a novel. Hopefully, I'll finish both this year, but I'm in no rush. And no, the novel has nothing to do with ‘VIII’ - although it's also AfroSFF. This makes me wonder. Do the humans stand a chance? 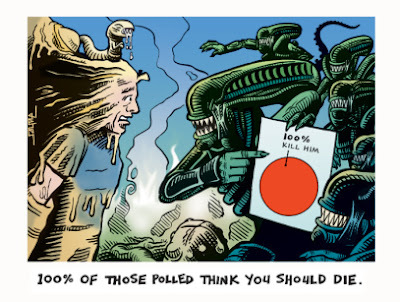 Or will the aliens triumph? I guess we'll never really know. Or maybe it will go on for centuries, or until the aliens get bored. Thank you for taking the time to answer the questions. Last up will be An Indigo Song for Paradise.